There have been some misleading reports in the press that the spell of dry weather in June will bring drought conditions. Victoria Williams, Water Resources Adviser , explains what the real risks currently are. Every week we measure water resources in England to assess how dry the soils are and how much rain they can soak up, the amount of water flowing in rivers, stored below ground in aquifers and above ground in reservoirs, and the outlook for the coming months. As we move into summer the overall water resources situation across England is looking generally healthy. This is not surprising given England has experienced the wettest six month period ( Dec-May) on record. Regionally it has also been a record breaker with the wettest six months experienced in southeast and southwest England and the second wettest in central and northwest England. All our rivers have responded to the rainfall and are currently within normal ranges. 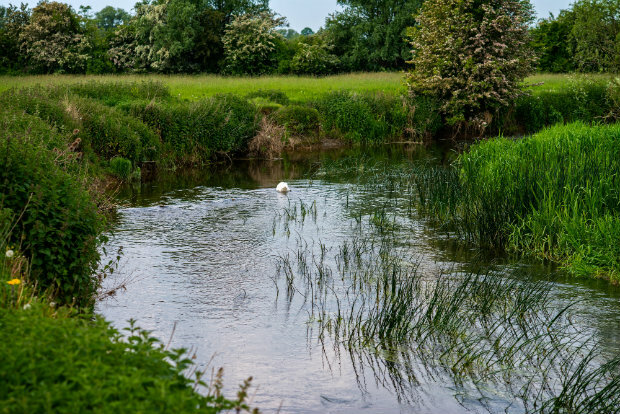 Groundwater levels throughout England are within normal ranges and are now starting to recede as expected for the time of year We also look ahead by modelling how rivers and groundwaters may respond to different future rainfall patterns over the summer. The results shows a broadly positive picture and even if rainfall is below average the country will not go into drought. However it is still as important as ever to use water wisely. If the weather does turn hot and dry there can be localised impacts on rivers, the environment and for farming. If this happens we work with abstractors to manage to reduce the effects where possible and water companies will keep their customers informed if needed. For more information see our water situation reports. First Time Fishing – What a Whopper! The JADAN Flood prevention System could store the water to prevent Flooding and be pumped out into tankers and taken to top up reservoirs to prevent Droughts. The only problem is the Environment agency still hasn't got back to me about this flood prevention system I have designed when they have been sitting on the designs for a month now. John Antony Dunne from Staines Upon Thames. Dear Mr Dunne, Thank you for posting on our Blog. We have responded to you several times following your facebook postings from your account. We responded to you in June 2014 and requested that you contact your MP to ascertain who he gave the flood designs to. In February we responded to a facebook posting and offered pointers as to who you can contact with new designs as we explained that we do not endorse individuals and to contact our procurement team and navigation links to Organisations who support new business ideas.